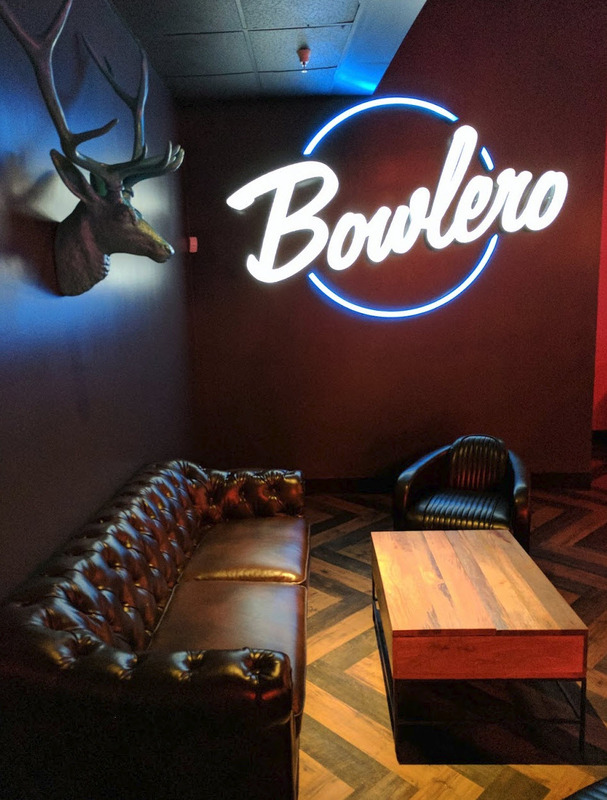 The old Bowlmor San Jose near Westfield Oakridge has been converted into a Bowlero, which is far cry from your traditional bowling alley. 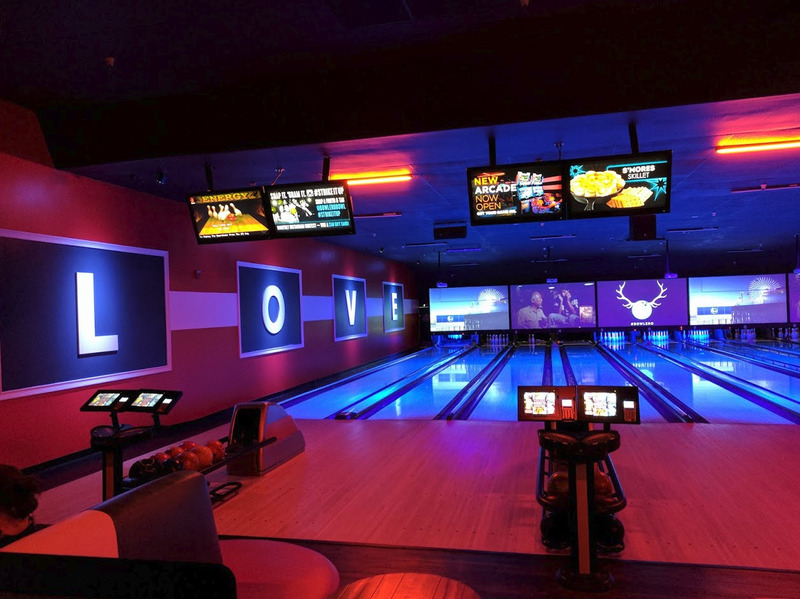 Bowlero features wall-to-wall screens playing movies and sporting events, hip music, arcades, a high-end bar with fancy cocktails, and a solid food menu. The ambiance and amenities align well with what is now expected in Silicon Valley. 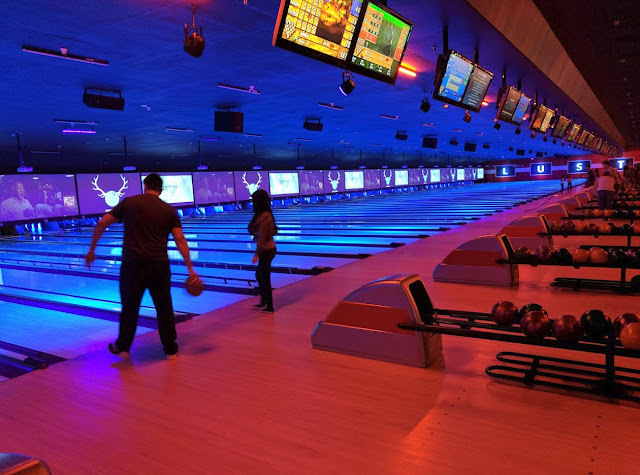 Bowlero has 59 lanes across the 50,000 SQFT building. 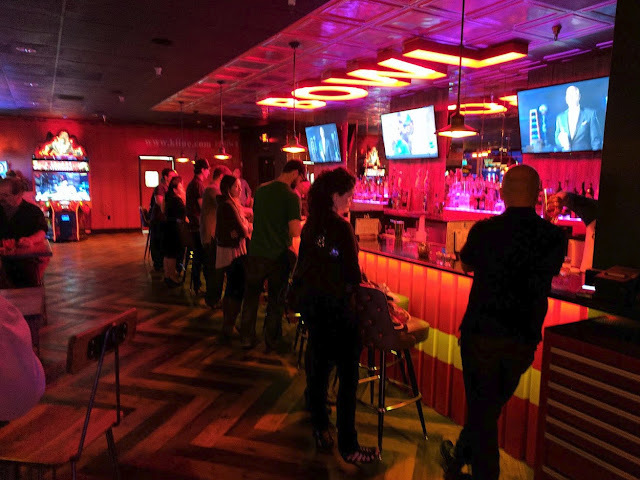 There is even a sectioned-off VIP room with 9 lanes and its own bar, ideal for parties and private events. 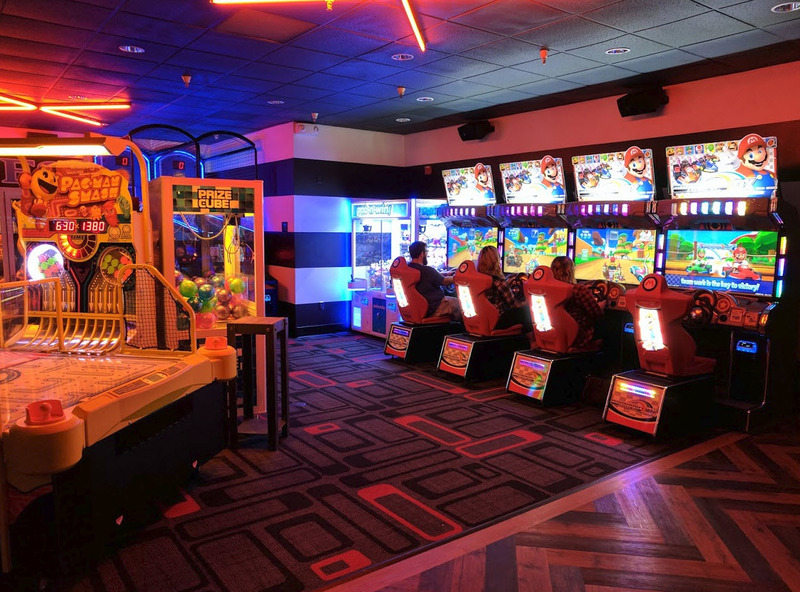 The entire space is well appointed and has a chic luxury feel throughout. The food menu also has several entertaining options designed for sharing--and photographing. 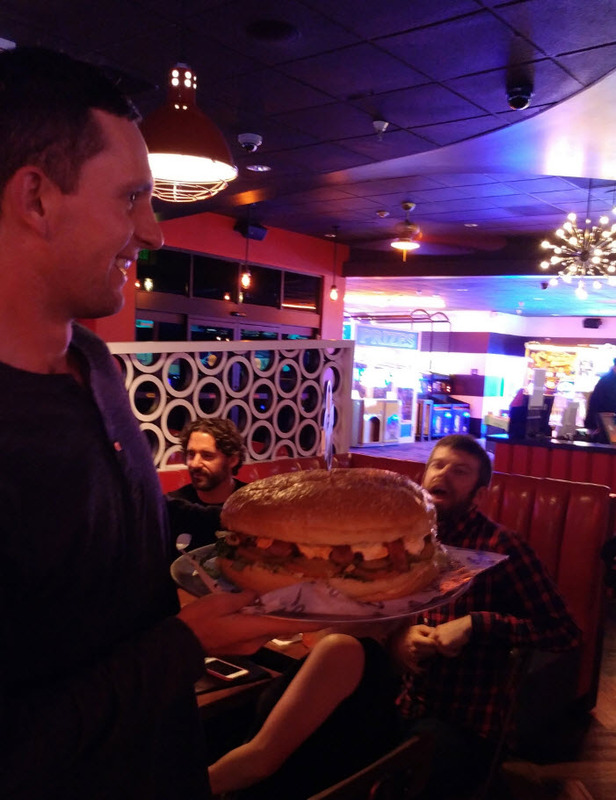 The most interesting one was a 5-lb "Behemoth Burger" with a 14-inch patty (photo down below). 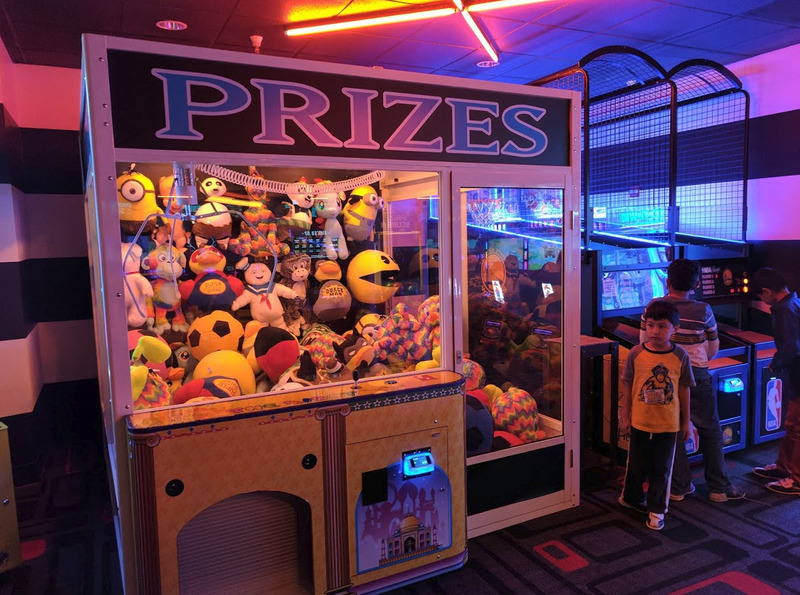 They also have super-sized Party Pretzels and a S'Mores Skillet. On the bar side you have the Dunk Tank, which comes in a Fishbowl and is designed to share with 2-3 other people. Bowlero San Jose is the 12th location to open in the US and the only location in Northern California. The address is 5420 Thornwood Drive and hours are Mon 4pm-1am, Tues-Thur 4pm-12am, Fri 12pm-2am, Sat 11am-2am, and Sunday 10am-12am. 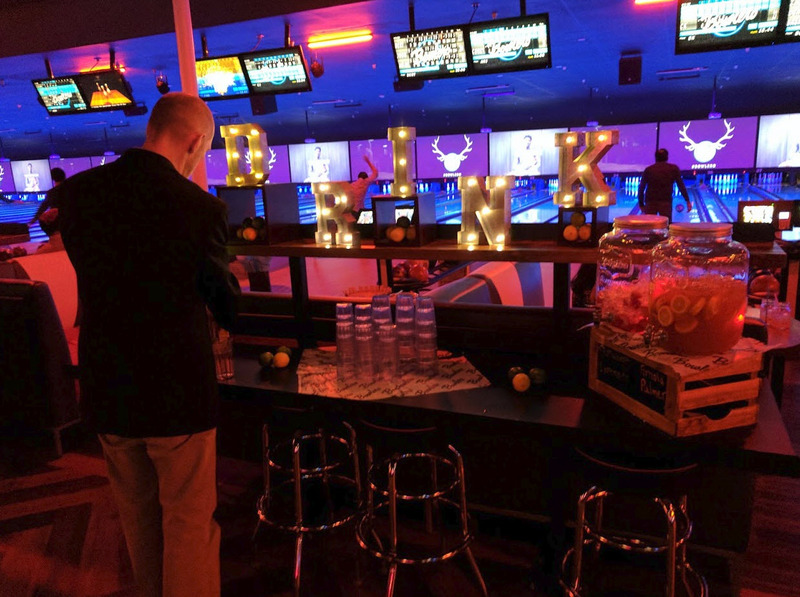 For more info, head over to the Bowlero website.